Magnum Opus: The New Beginning – Sunday, Oct. 2, 2011, 4 p.m.
Albanian violin prodigy Brunilda Myftaraj has drawn enthusiastic accolades from audiences as well as critical acclaim for her masterful musicianship in Albania, Italy, Greece, France, Marocco, Austria, Switzerland, Poland and in the United States. She has been praised recently by the New London Day critic as an “especially fine and beautiful player”. 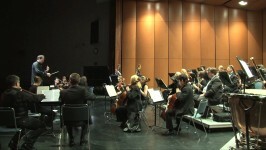 In the United States She has performed as soloist with the Hartford Symphony Orchestra and the Connecticut Virtuosi Chamber Orchestra of which she is now a concertmistress, and presented recitals at the Piano and Friends Chamber Music series in Tucson Arizona, Mostly Mozart series in Napa Valley, the Schubert Club in Minneapolis and more. She has been featured on radio stations in NY, CT and MA. The first prize winner of the Van Rooy competition, Emerson Quartet competition she was also a and semifinalist and participant in prestigious competitions such as the Young Artist Guild in NY, Indianapolis International Violin Competition and the Lipizer Competition in Gorizia, Italy. Ms. Myftaraj is a member of the Elektra Ensemble (piano trio). She graduated with the Highest Honors from the renowned Conservatory of Fine Arts in Tirana, and has studied throughout Europe and the United States. Her teachers have included, Proletare Skenderi, Piero Faulli of the Quartetto Italiano, Alberto Lissy, Phil Setzer, Eugene Drucker, Rafael Druian and Renato Bonacini. Howard Shore is among today’s most respected, honored, and active composers and music conductors. His work with Peter Jackson on The Lord of the Rings trilogy stands as his most towering achievement to date, earning him three Academy Awards. He has also been awarded four Grammys and three Golden Globes. Shore was one of the original creators of Saturday Night Live. He served as the music director on the show from 1975 to 1980. At the same time, he began collaborating with David Cronenberg, and has scored 12 of the director’s films, including The Fly, Dead Ringers, Crash, Naked Lunch and Eastern Promises for which he was honored with a Genie Award. Shore continues to distinguish himself with a wide range of projects, from Martin Scorsese’s The Departed, The Aviator, and Gangs of New York, to Ed Wood, The Silence of the Lambs, Philadelphia, and Mrs. Doubtfire. The Violin Concerto in A minor, Op. 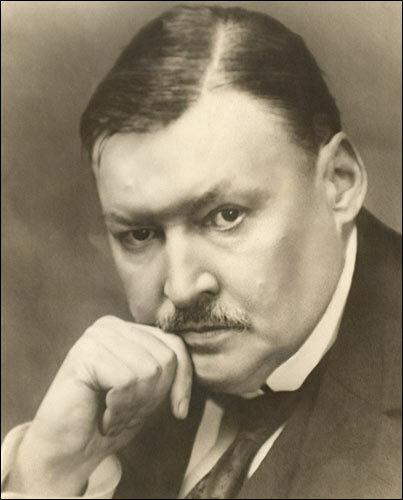 82, by Alexander Glazunov is one of his most popular compositions. Written in 1904, the concerto was dedicated to violinist Leopold Auer, who gave the first performance at a Russian Musical Society concert in St. Petersburg on February 15, 1905. The British premiere of the concerto followed just over a year later, under the direction of Sir Henry Wood and with Mischa Elman as soloist. The violin concerto is quite representative of Glazunov’s technically brilliant style. The work contains four movements. The slow second movement is seamlessly inserted by the composer into the middle of the first movement, which is an original and rare structural peculiarity of this composition. The main cadenza at the end of the second movement was composed by Glazunov himself. It utilizes extensive double-stopping technique and is considered one of the hardest parts of the concerto. The concerto is written as a single continuous 21-minute-long piece and is performed without any pauses between movements. 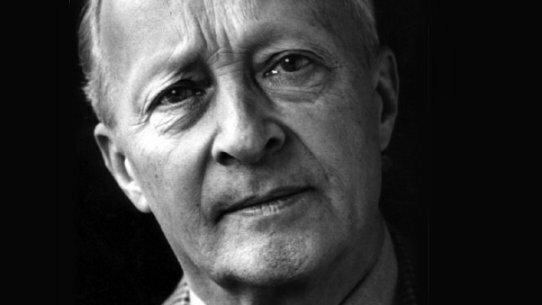 Lutoslawski – Little Suite for Symphony Orchestra: The original version of this work, scored for chamber orchestra, was written in 1950 in response to a commission from Warsaw Radio. In the following year the composer revised and slightly extended the work and rescored it for symphony orchestra. The first performance was given by the Warsaw Radio Symphony Orchestra, conducted by Grzegorz Fitelberg, in Warsaw in April 1951. The work uses folk melodies from the village of Machow in the region of Rzeszow, east of Cracow. Jean Sibelius’s Symphony No. 2 in D major, Opus 43 was started in Winter 1900 in Rapallo, Italy, and finished in 1902 in Finland. It was first performed by the Helsinki Philharmonic Society on 8 March 1902, with the composer conducting. After the first performance, Sibelius made some revisions, and the revised version was given its first performance by Armas Järnefelt on 10 November 1903 in Stockholm. The symphony is in four movements, with the third movement and the finale played attacca. In Finland, this popular work with its grandiose finale was connected by some with the struggle for Finland’s independence, even being popularly dubbed the “Symphony of Independence,” as it was written at a time of Russian sanctions on Finnish language and culture. Sibelius’s reaction to this has been widely debated; some claim that he had not intended any patriotic message and was purely identified as a nationalist composer, while others believe that he wrote the piece with an independent Finland in mind. 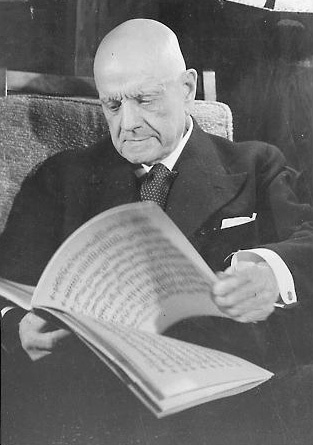 Tying in with Sibelius’ philosophy on the art of the symphony (‘The Finnish composer wrote that he “admired [the symphony’s] severity of style and the profound logic that created an inner connection between all the motifs…”‘Sibelius), the work grows almost organically out of a rising three-note motif heard at the opening of the work, which, after appearing in many guises throughout the entire symphony (and indeed forming the basis for most of the material) forms the dramatic theme of the finale.